Dier can play multiple positions across the defensive third, which gives Mourinho plenty of ways to set his side up. He can play as the defensive midfielder, where he shined for Tottenham a season ago. His defensive abilities and work-rate would allow Pogba and Herrera to push freely up the pitch. 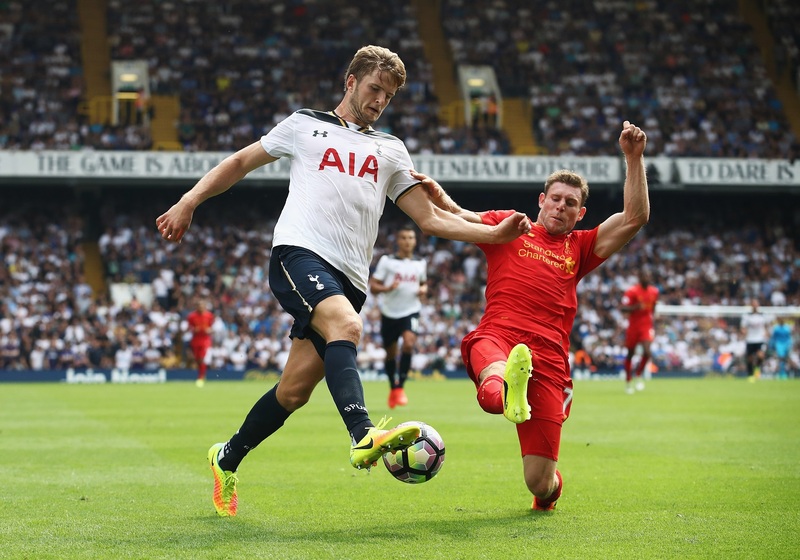 Dier also has some attacking qualities, with his long passing quite underrated. Some have said he could be an ideal Carrick replacement. Dier could also be played at center back, the position he started his career in. He played the position frequently for Tottenham, covering if either Vertongen or Alderweireld were unavailable. He did the job when needed, helping Tottenham conceded the least amount of goals this past season. It is no secret that United lacked defensive cover at the end of the latest season. Signing Dier would provide much needed depth in case of injury/suspension. His versatility would also allow Mourinho to try new formations as the season goes on. He commonly went with a 4-3-3, but pulled out a 3-5-2 when a defensive masterclass was needed. Either way, Dier would have a spot on the field. Signing Dier will not be easy. There are 3 guarantees in life that all Premier League fans know: death, taxes, and Daniel Levy driving a hard bargain. The Tottenham chairman has been known to get the highest transfer value out of players when selling them. He was able to convince Real Madrid to break the then all time record transfer fee when he sold them Gareth Bale for 86 million pounds. He got 10 million out of Soldado for crying out loud. If United are to go after Dier, they must be ready to negotiate for a while. Manchester will have to pay a higher fee than other clubs, since United is a club directly competing with Tottenham in the Premier League. Also, accounting for the fact that Dier is English, and the fact that Englishmen tend to attract a higher fee than players of different nationalities, United will have to dig deep into their pockets. Levy may not be in favour letting Dier go, as he has had problems bringing in new players in the past. Summer signings Sissoko and Jansen have flopped massively, and Levy might not want to go through the trouble of finding a replacement. There is a solution, however. If the reports from the Daily Mail are to be believed, United are set to offer defender Chris Smalling as part of the deal. Smalling has lost his starting spot in the United XI, and a move might be the best thing for both parties. He would get a fresh change of scenery, and Tottenham would get an experienced Premier League player. It would also relieve Levy the headache of finding a replacement. At the end of the day, Dier would be a quality signing for United. He’s only 23, and still has an immense amount of potential. He can play anywhere along the defensive line, and can also feature in the center of midfield. He has also gotten acclimated to the Premier League. Let Jose work with him, and see how high his ceiling is. Should United be exploring the prospect of Thomas Lemar over Ivan Perisic?